Midcoast Maine's Best Inn. 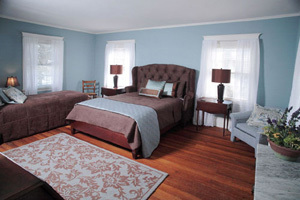 Situated on the towns picturesque village green, this charming Inn is just steps away from Bowdoin College and a wonderful array of Brunswick shops and restaurants. Relax in the wine bar after a day of sight-seeing. Public welcomed. A cozy, comfortable three bedroom B & B on the river in the historic district of Topsham and within walking distance of downtown Brunswick. All room with private bath. Full breakfast served. 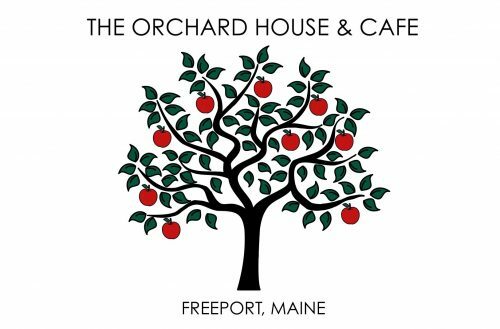 The Orchard House and Cafe* is a charming, old world country Inn located on 5 acres of open field, one mile north of the Village of Freeport on US Route 1. The original farmhouse, built in the 1840’s, features four spacious European-inspired bedrooms with private bath, a beautifully appointed living room with fireplace and a sunlit dining room where continental breakfast is served daily. Adjoining the Inn is an inviting cafe with beamed ceilings, fireplace and French doors leading to an outdoor arbor for seasonal dining. *The Cafe is scheduled to open in 2018.